Did you attend one of our events and want to reminisce? Or maybe you weren’t able to make it to an event and want to see what you missed out on? You’ve come to the right place. 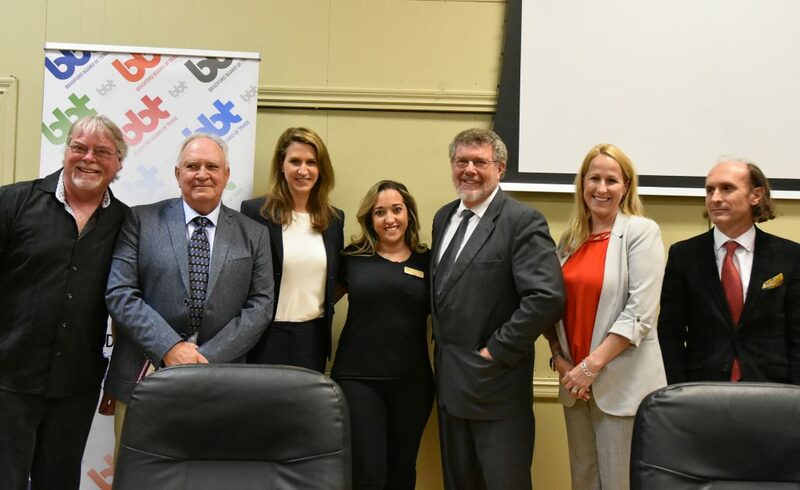 Meet Your Provincial Candidates 2018 for York-Simcoe: Left to right: James Reaume – Moderator, David Loft – Trillium Party, Caroline Mulroney – PC Party, Tina Martins-Morrison – BBT President, Dave Szollosy – NDP, Loralea Carruthers – Liberal Party, Silviu Druma – Libertarian Party. Submitted photo. 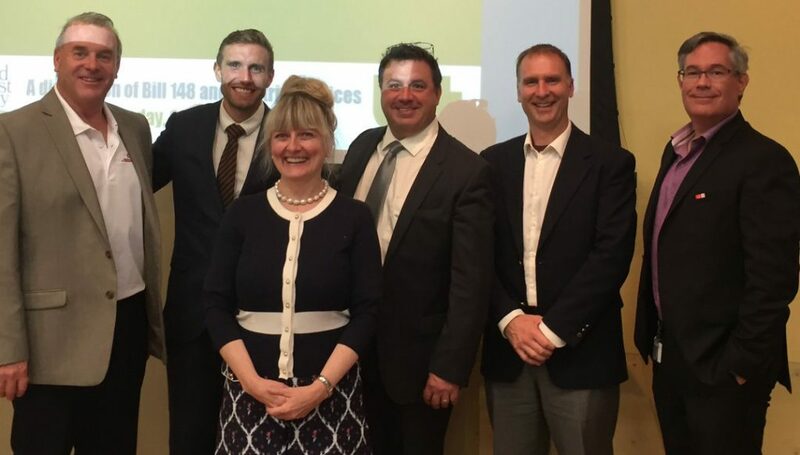 On October 4th, 2017 the Bradford Board of Trade partnered with the Town of Bradford West Gwillimbury, Office of Economic Development to host the BWG Business Forum. Speakers Julie Kwiecinski of the Canadian Federation of Independent Business and Andrew Thiele of the Ontario Chamber of Commerce both presented. 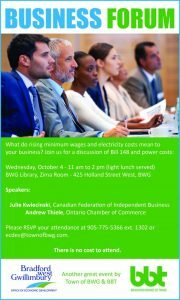 Bill 148, the increase of the minimum wage and the rising costs of electricity here in Ontario were both discussed. It was a very informative event where those who attended were very appreciative for the timely and impactful information presented. 2017 found us rebranding our show to the Bradford Home & Lifestyle Show. 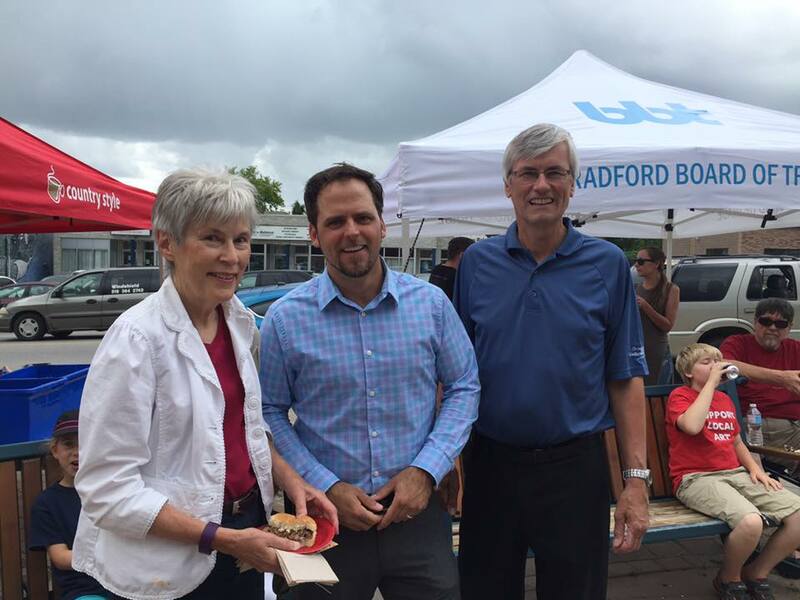 The Bradford Board Of Trade also approached Town Council throughout 2016 in hopes of securing a permanent heat solution for the Bradford & District Memorial Community Centre. As a 60 year old structure built with the intent of retaining the cold to maintain the ice, the building was very effective. However for the new and expanding needs of our community, heat would provide BWG with a year round venue. We were thrilled to receive their decision to invest in the community centre and to install the heat in time for our show. We enjoyed increased traffic and a truly upbeat atmosphere from both vendors and the public alike! We’d like to thank your Sponsors for their unwavering support and encouragement. 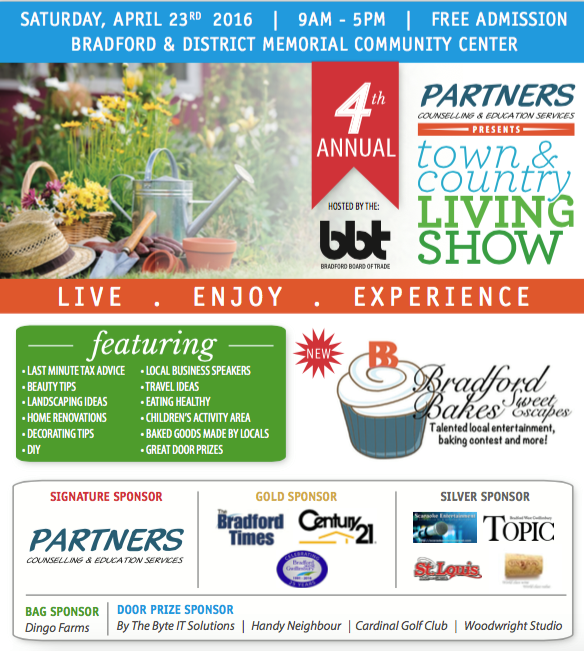 GOLD SPONSORS: Bradford Times, The Town of Bradford West Gwillimbury and ACE Concrete & Construction. 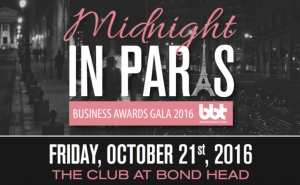 Silver Sponsors: Vin Bon Bradford, The Topic, Poleiro BBQ and our Door Prize Sponsors: EcoMobiless and Woodwright Studio. Once accepted and reviewed for meeting our award rules & regulations, all are forwarded to our esteemed judging panel. With the commitment to providing businesses with 3 reviews each, our panel processed 231 evaluations. We are in their debt for their time, insight and dedication to supporting our business community. In the case of the People’s Choice Award, a public vote. We received a record 5855 votes! 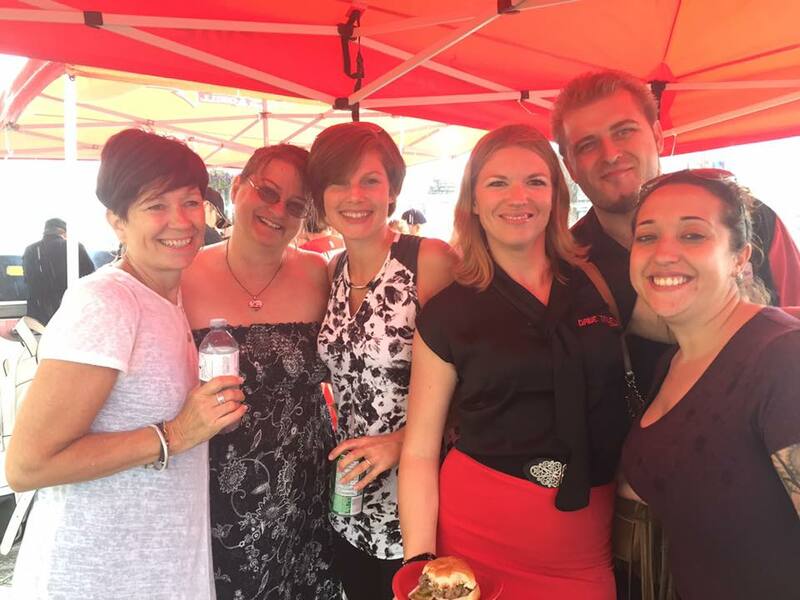 Our Annual Appreciation BBQ was held on Friday, July 15th, 2016 from 12 noon to 2:00pm. 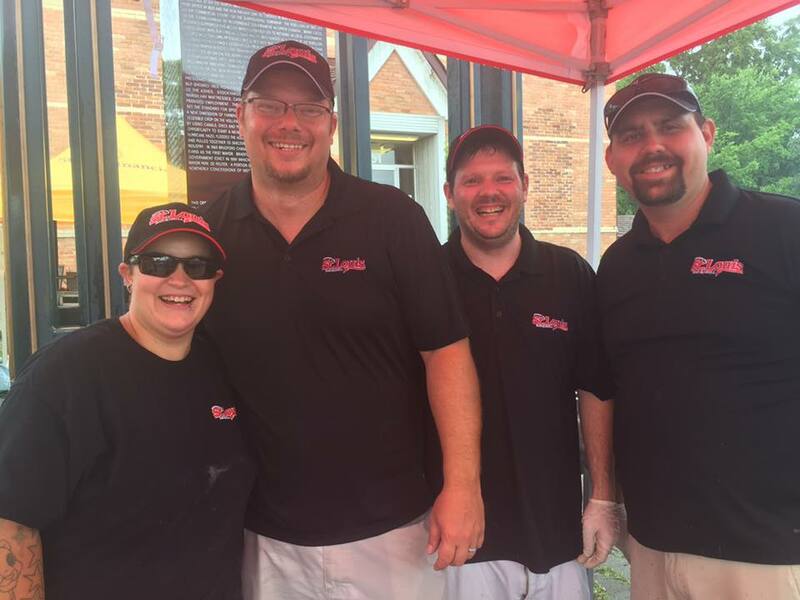 Our incredible sponsors St. Louis Bar & Grill Bradford served over 200+ devilishly good hamburgers and sausages in 2 hours! The lineup was down the street! Even the rain couldn’t dampen spirits. Mr Sub Country Style provided ice cold drinks and steaming hot coffee for both the heat of the day and the chill of the rain. Smoochies Cakery brought 250 decadent vanilla and chocolate mini cupcakes to satisfy everyone’s sweet tooth. Lunch, drink and dessert! It was a wonderful day. Thank you to all who came out and braved the weather. We greatly appreciate BWG and the support we receive all year long from this incredible community. Our 2016 Annual Appreciation BBQ! Great food, wonderful people, good times. Thank you to all who came out to make this such a resounding success. 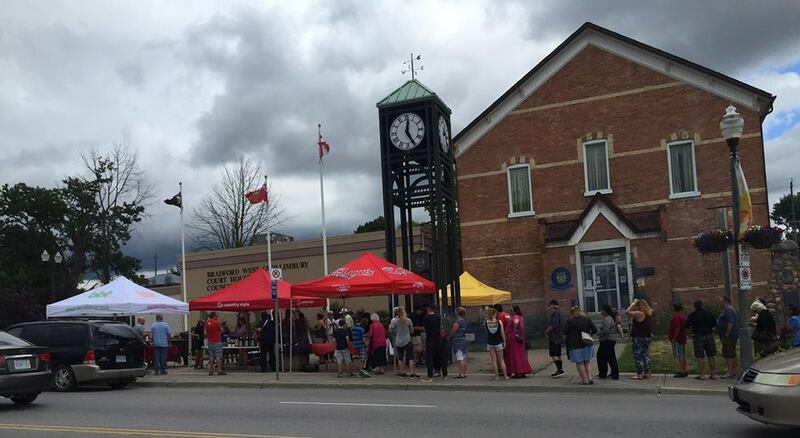 Thank you Julia Munro MPP, Councilor Peter Ferragine – Ward 5 and Mayor Rob Keffer for your support today. Greatly appreciated. The talented team from St. Louis Bar & Grill Bradford! Thank you, lunch was devilishly delicious! 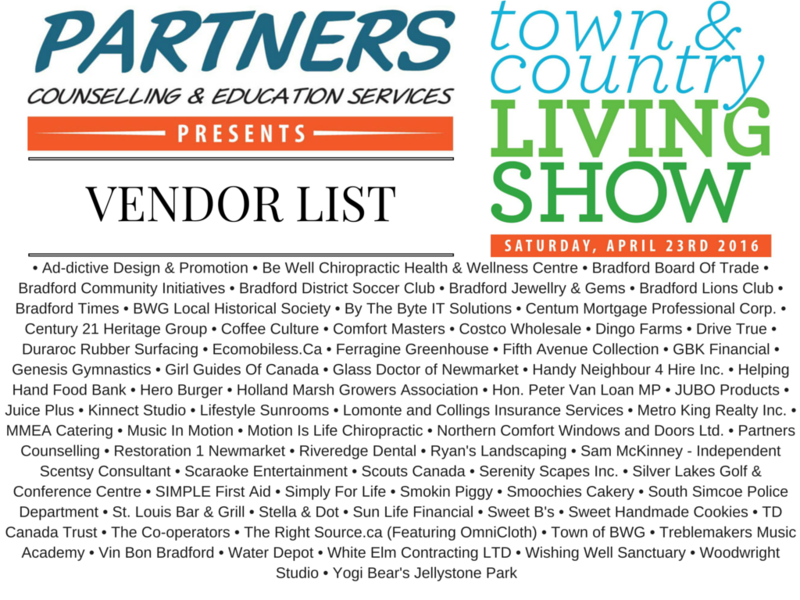 This was the 4th Annual Town & Country Living Show presented by Partners Counselling was held on Saturday, April 23rd, 2016. Once again the weather agreed with us to be warm and sunny enough for people to want to come out and see us! 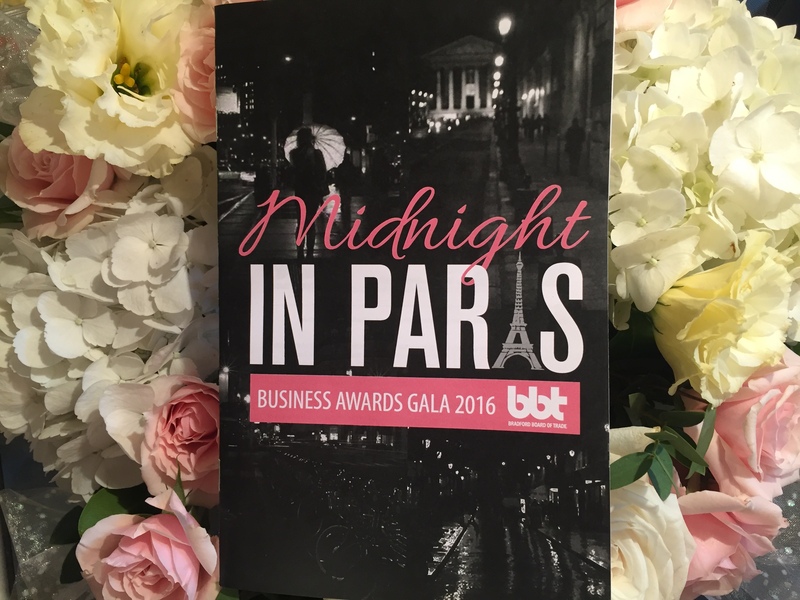 We were incredibly proud of this fantastic event. 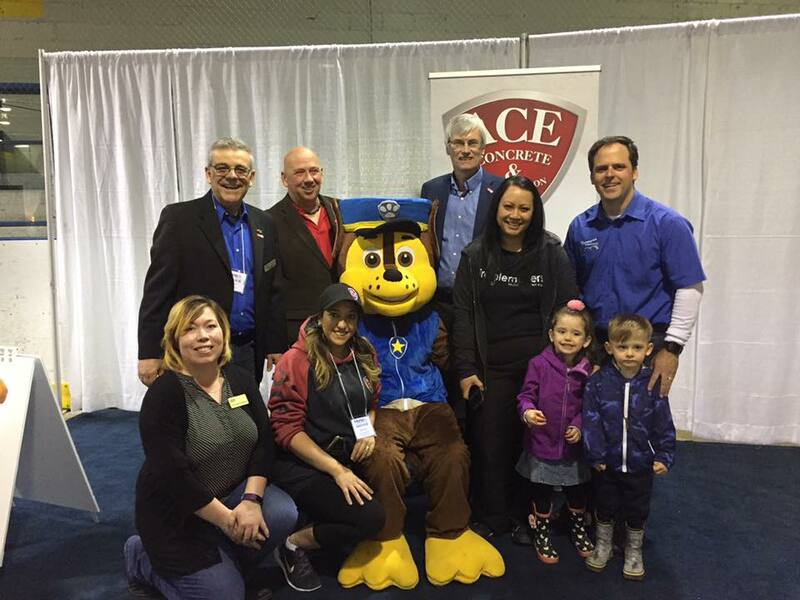 Our sponsors, vendors, volunteers and guests of the show – everyone was so supportive. Arranged locally, promoted locally, everything used was sourced locally whenever possible. 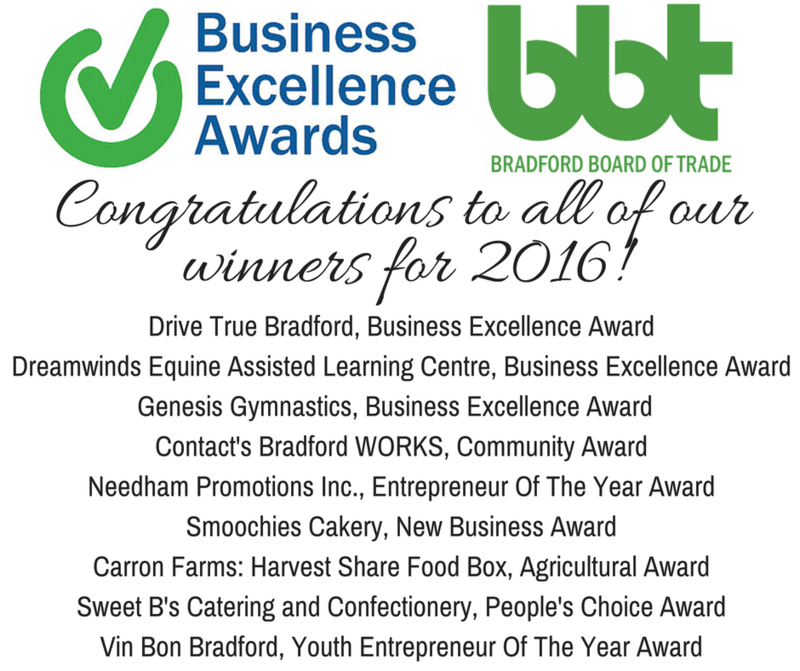 The BBT prides ourselves on our dedication to BWG and our business community. 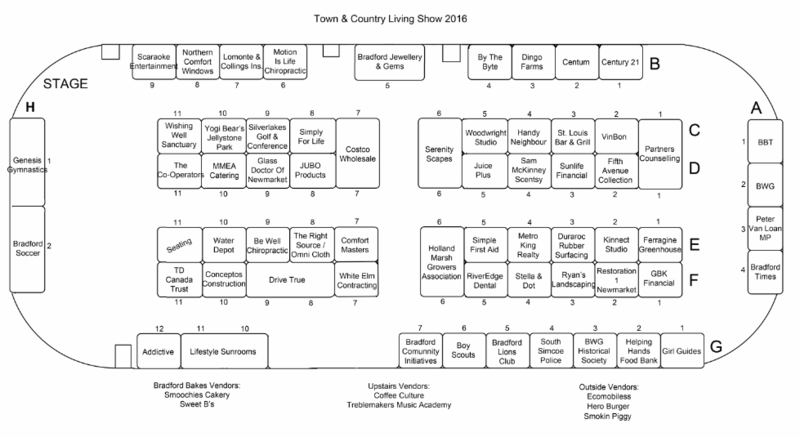 Thank you for taking part in showcasing our town! Looking forward to next year!